Pediatric rheumatologist Ana Quintero del Rio discusses at length how lupus is detected, its many symptoms and complications, the most successful and current treatments available, and ongoing research. Her use of personal stories throughout lend a warm touch and illustrate how people with lupus are crafting solutions to the many challenges of living with this complex and unpredictable disease. 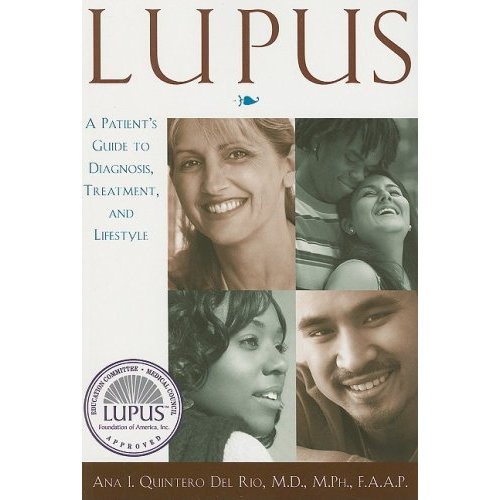 The Patient Resources chapter includes information on finding the proper physicians, patients’ rights, Internet sites on lupus and related disorders, patient advocacy groups, prescription medication assistance programs, international lupus groups, and selected references. Ana Quintero del Rio, M.D.